This entry is part 8 of 23 in the series Portugal & Andalusia 2012. High on a hilltop, above Sintra, the multi-coloured turrets of Pena National Palace can be seen from as far as Lisbon on a clear day. Pena’s dramatic architecture has landed it on the UNESCO World Heritage sites list and made it one of the Seven Wonders of Portugal. For me though, it was the woodland garden of Pena, that stole the show. Long before Pena was a colourful palace, the hilltop was home to a secluded chapel called Our Lady of Pena. It so inspired King Manuel, he had a monastery built to house 18 monks and donated it to the Order of Saint Jerome. The Great Lisbon Earthquake of 1755 took its toll on the monastery but, miraculously, the chapel itself was saved. The site remained abandoned until it caught the eye of King consort Ferdinand II, in 1838. He bought up the monastery and surrounding lands, including the ruins of the Castle of the Moors on the neighbouring hilltop. 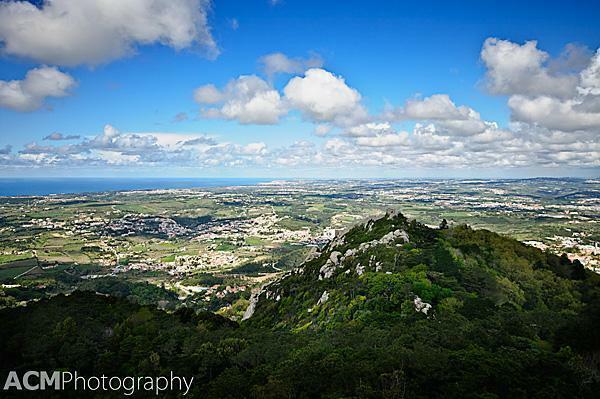 The incredible view from Pena Palace, including the Castle of the Moors. King Ferdinand had grand ambitions to turn the land into a magnificent summer retreat for the Portuguese royal family. 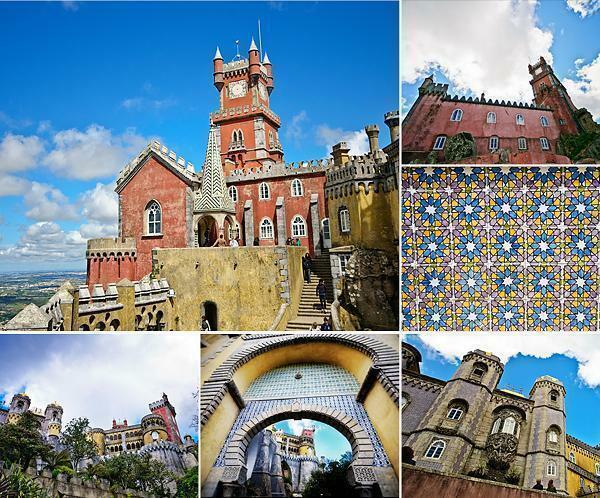 The Pena Palace was finally finished in 1847 with much design input from Ferdinand and his wife Queen Maria II. 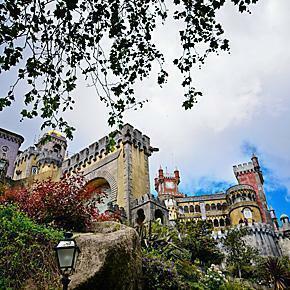 After Ferdinand’s death, Pena Palace passed through various royal hands until it was acquired by the state, in 1889. It was a wildly popular tourist destination but time was taking its toll and the colourful facade had faded to dull grey. At the end of the 20th century, Pena Palace was repainted in the original colours, shocking many Portuguese who had grown used to the faded version. 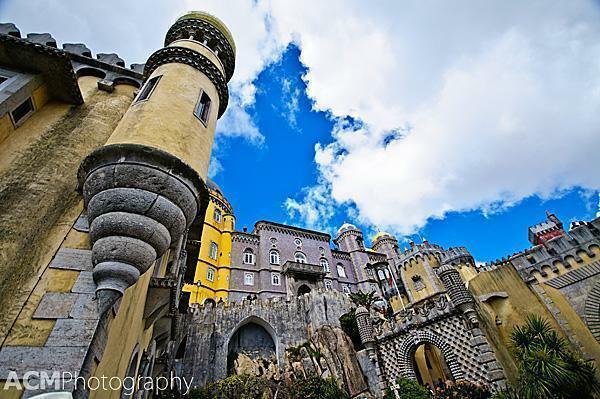 In 1995, Pena Palace was added to the UNESCO World Heritage List as part of the cultural landscape of Sintra. The architecture of the Pena Palace, is wildly over-the-top. It’s a mix of Neo-Gothic, Neo-Manueline, Islamic and Neo-Renaissance styles. It looks like a child’s design of a dream castle come to life. 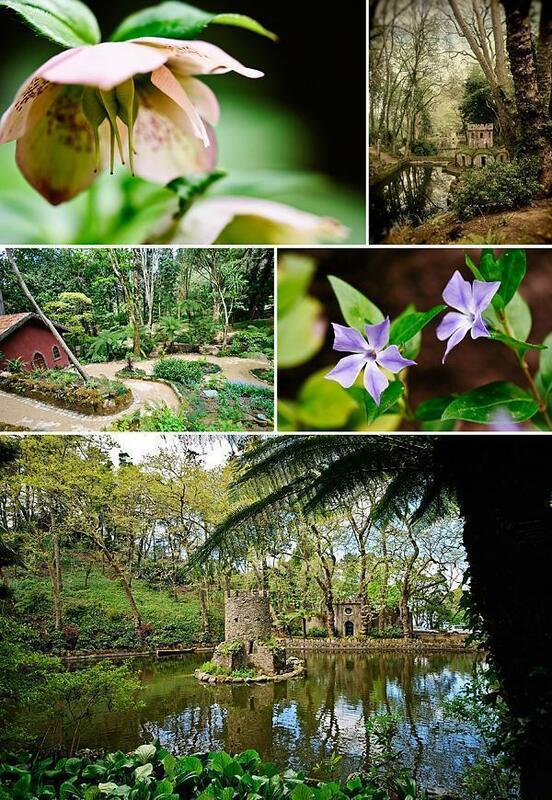 When you first arrive at Pena Palace, you must wander through some of the 200 hectares of woodland garden. For me, this was the best part of the visit. King Ferdinand II had trees imported from all over the world and Queen Maria II collected flowering shrubs, like the brilliant rhododendrons that add splashes of colour to the green landscape. Dotted throughout the gardens are follies, or architectural elements made to look like part of the landscape. One of the most interesting buildings is the Chalet of the Countess of Edla, which had fallen into ruin and is now being carefully restored. The exterior of the building looks like something you may find in the Alps, but is actually accented with cork bark. Some of the interior rooms are still being restored and an interesting “before and after” photo display can be viewed inside. 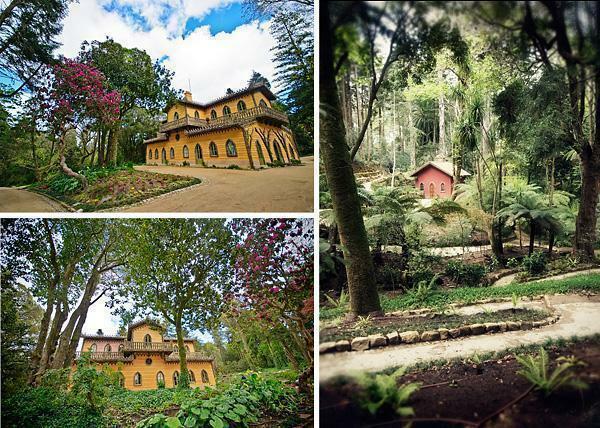 When looking at photos of Sintra, before our visit, Pena was the Palace I was most excited about visiting. In the end, it was probably my least favourite of the three. The interior was not as impressive as the National Palace of Sintra and the exterior was much more gaudy and over-the-top than Monserrate (which I’ll be writing about soon). It was also, by far, the most crowded of the three. That said, I certainly don’t regret our visit. The gardens are like a magical forest, where you could easily lose sight of the tourist crowds. In fact, I’d love to return and just meander through the wooded grounds with my camera, skipping the palace altogether. Ticket Prices vary depending on which parts of the Pena Palace you want to visit. You can see a full breakdown of pricing here.